Ice sculptures may be considered a luxury but this unique and elegant piece of decor can be incorporated into any wedding. 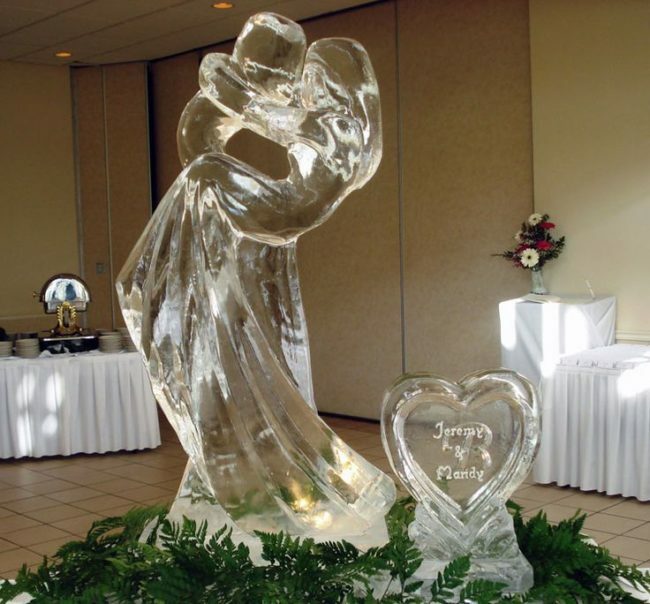 The price of wedding ice sculptures depends on two things, size and intricacy. There are some small, simple designs that work great for small budget weddings and there are large, elaborate sculptures for upscale, big budget affairs. 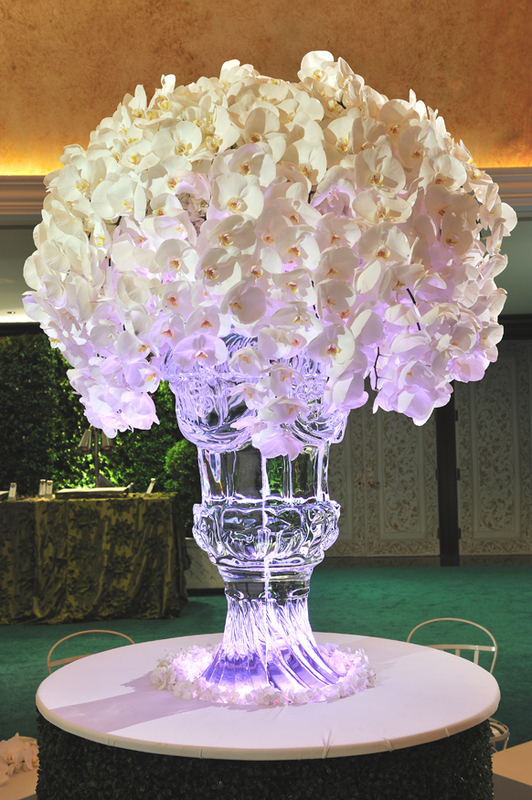 Flower vases made of ice are extremely beautiful and relatively inexpensive. 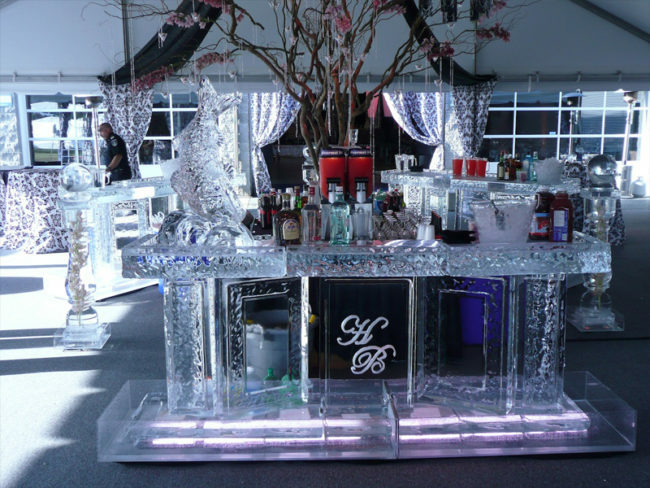 Having an ice bar is one of the most exciting and practical ways to use ice sculptures. They add an element of fun at the bar and they’re a very memorable part of the wedding. They can be quite pricey though. Traditional ice sculptures are usually one piece that is the center of attention. These are a perfect choice for a big wedding with lots of decor – flowers, lights, crystals, chandeliers, candles, the whole nine yards. If you have a big ice sculpture like this, which can cost a large chunk of your budget, will likely be well-lit and sparkle across the room. 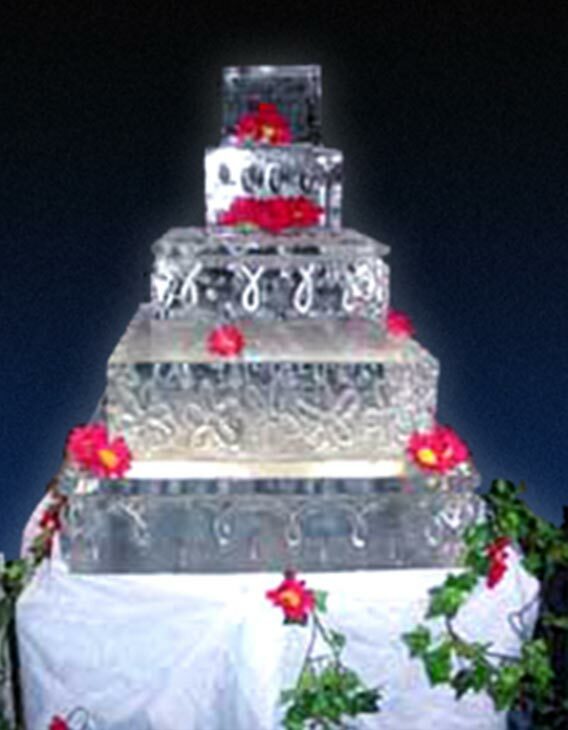 One of the latest trends in wedding ice sculptures is the ice cake. In many cases the wedding cake is mostly a decoration piece anyway. Newlyweds won’t be able to cut the cake, but it’s a great option for trendy couples who don’t care for the extra calories. Ice sculptures work in any wedding season. Get creative and add some ice to your big day.